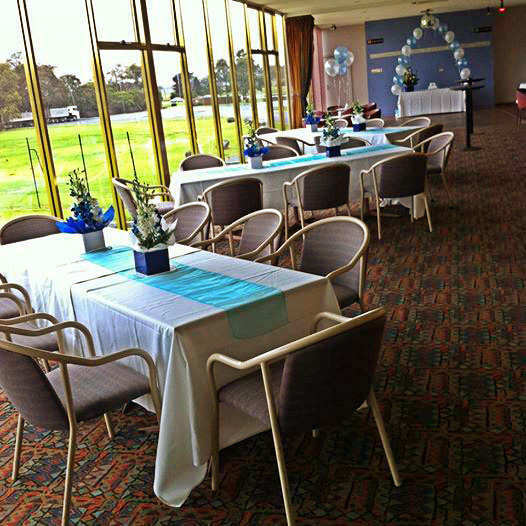 Celebrate your next business or special occasion with us here at Aces Sporting Club. Please don't hesitate to contact our friendly staff to help you plan your next function event. The Mezzanine Bar is the perfect space to celebrate with your colleagues or closest friends. Whether you are hosting a milestone birthday, an engagement or a work celebration, the space is suitable for all event types. Fancy a group activity? We've got you covered! The top level of the driving range can be hired for private groups of 10 - 30 guests. With 12 bays available to you, our licensed driving range is great for bucks parties, corporate team bonding outings and more! The Driving Range Level 2 can also be booked in conjunction with the Mezzanine Bar for the ultimate group function.